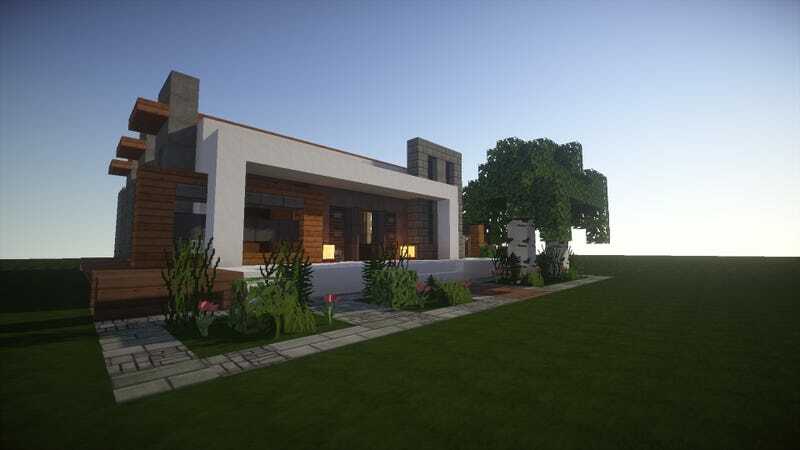 I like modern houses in Minecraft. I like modern houses in Minecraft. They give a good contrast to the fantasy setting, and motivate me to build something more complex than the tried and true crappy cubical wooden plank hut. The simple yet pleasant home above, by redditor KiltedCobra, is a prime example. Check out the Imgur album for more screenshots.